A big amount of people nowadays are clenching or grinding their teeth especially during nocturnal sleep. This phenomenon is called bruxism and is usually triggered by stress or by a wrong occlusion of the teeth between them. Bruxism results in teeth attrition and/or their fracture, which also has an impact on the long-term appearance of the face and smile. It is also frequent for patients to report headaches and earaches due to bruxism. 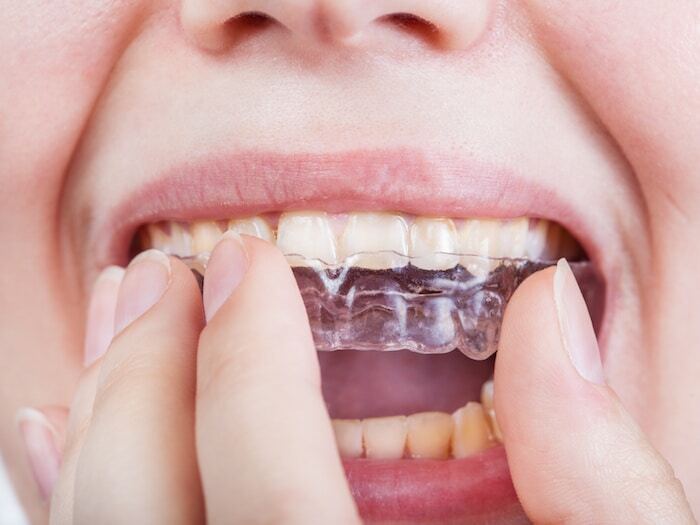 In order to prevent and treat bruxism, the dentist can make custom-made nightguards which are thin acrylic appliances that fit on the teeth and are usually worn during the night. When wearing a nightguard, the teeth do not come into contact and are therefore protected against wear.